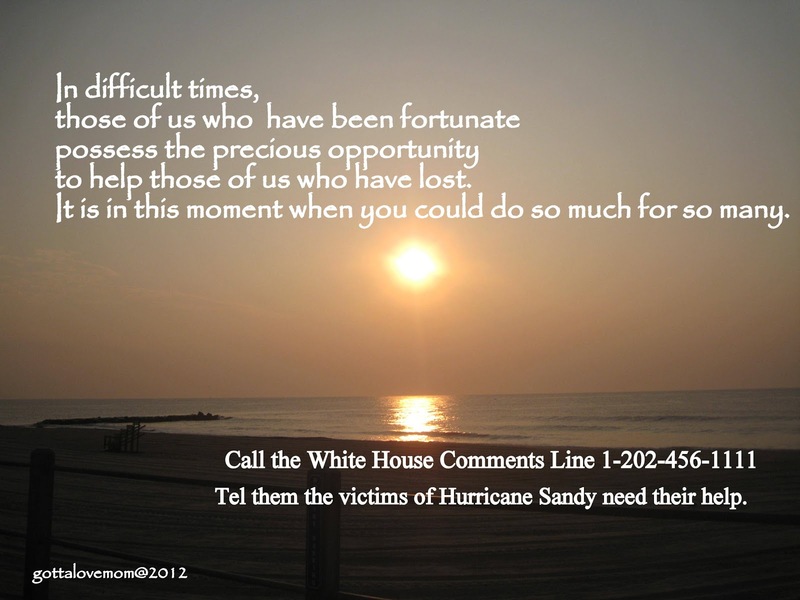 Hurricane Sandy victims in Gerritsen Beach, Brooklyn need YOU! My neighborhood in Cranford, NJ has been slowly getting our power back after Sandy, despite a brief setback from the recent Nor’easter. Luckily we have a very strong support system that others don’t have. I have family and friends in the Gerritson Beach section of Brooklyn who feel like they have been completely forgotten. Not only are they not yet on Con Edison’s priority list, they feel like they have dropped off every list on which you could be listed. They have no electricity, no gas, no heat, no telephone, no police protection, NOTHING! All of the elements which create that reality we call normalcy have been removed from their lives in one day, and the safety net that they have paid for through their bills and taxes have evaporated into thin air without so much as a mention. So they are asking me to ask for your help. They have called their media, their congressman, their senator, their mayor, and their governor, but they have gotten NOTHING. They asked if we can help them to escalate their plight to the attention of the White House. I called the number and it’s only available Mondays – Fridays, 9am-5pm. Please make a phone call, and help to amplify their request for help. It will take only 5 minutes but it will help to mobilize attention that could help hundreds of families trapped in desperate circumstances. Sandy and its aftermath have reminded us of a very important thing: In difficult times, those of us who have been fortunate possess the precious opportunity to help those of us who have lost. It is in this moment when you could do so much for so many. In times like these and even in the good times, there is no excuse not to do nothing for another one in need.